Home / Topics / Branding / There Are Two Types of CMOs When It Comes to Channel Marketing. Which Is Yours? No matter what role you hold in your company, having the support of the C-level executive you roll up into makes your job easier, especially when it comes to securing funds and resources for programs and campaigns. But before you go make your pitch, it’s important to consider who you’re presenting to. A common theme I’ve noticed among channel marketers is that they say their Chief Marketing Officers (CMOs) fall into one of two categories: CMOs who “get” the channel and those who don’t. CMOs who “get” the channel understand the role of channel partners as they relate to the strategic aspects of partners as a route to market as well as how best to leverage channel partners specifically for sales and marketing execution. These CMOs typically have a background where they have worked with channel partners at some point in their career, whether their past roles were in field marketing or in a specific channel marketing role that put them in close contact with partners. CMOs who don’t “get” the channel, or at least those who their teams perceive don’t “get” the channel, usually fail to see how channel partners can be trusted to deliver results in support of the company’s plans. The CMOs may not see partners as reliable participants in bringing the company’s message to the market. And if the CMO doesn’t trust channel partners, not only will that impact your funding, their perception of partners will affect other roles you may rely on for support. For example, these CMOs may direct their brand team to exert tight control over channel partners use of the company’s brand identity and marketing materials making through-partner marketing incredibly rigid and potentially ineffective. These CMOs may have come from a background in product marketing or other roles that never provided them with the opportunity to get close to partners. I believe that empathy is a key trait of people who work with channel partners so it’s no surprise to encounter reluctance when a CMO who hasn’t had much channel partner interaction is asked to rely on third-parties for their company’s success. Many parents can relate to this situation. If you’ve ever put your trust in your child to do something like cut the grass or fold the laundry, you know your child is unlikely to perform the task as well as you would have done it. But, to many of us in the channel, we’re comfortable with the trade-off. By gaining the assistance of another, it frees you up to spend your time on other tasks, including recruiting more partners to help you grow. By delegating, you can scale faster and get more done than if you would have tried to do all the work yourself. And though the approach and quality of the work isn’t 100% as you or your team would have done it, partners almost always provide a better outcome. If you’re in a situation where your CMO or Chief Revenue Officer (CRO) doesn’t “get” the channel, there are some things you can do about it to try and help them see channel partners as the rich opportunity they truly represent. Call upon a key partner or two to demonstrate how capable the channel is when it comes to sales and marketing. Many channel partners embrace their third-party status and use that position to create compelling campaigns with messaging and calls to actions that your company simply can’t because of your inherent bias. Invite your CMO to have a one-on-one with a partner who can validate the channel opportunity by describing tangible results and future plans. Provide third-party validation to support your position about the opportunity in the channel. There’s a great deal of content and fresh research to articulate the strategic importance of the channel as well as how best to execute programs. 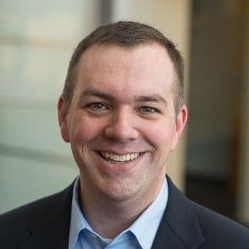 Check out the latest blogs and reports from Jay McBain, Principal Analyst, Global Channels at Forrester Research and the Channel Marketing Strategies practice at SiriusDecisions, led by Maria Chien along with her team of Kathy Freeman Contreras and Angela Leech. 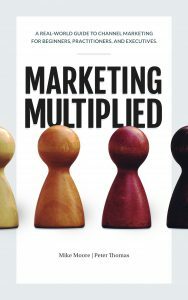 Offer practical steps to involving channel partners in your business, like those recommended in our book, Marketing Multiplied: A real-world guide to Channel Marketing for beginners, practitioners, and executives. Too much theory or strategy can bore executives who have monthly and quarterly targets to hit, so realistic tactical plans are often preferred. We’re in the process of creating a distilled version of Marketing Multiplied to deliver as a presentation for one company who asked us to share more about marketing through channel partners with their marketing organization. The thought is that if more people understand the channel, the easier it will be to gain cross-group support for channel marketing initiatives. This is a noble pursuit that will undoubtedly bear fruit. If you’d like to receive this presentation or have us deliver it to your CMO or marketing team, please let us know.